Sugar is one of the less obvious vital commodities in time of war. Besides its obvious use in foodstuffs, where it supplies about 4 calories per gram (113 calories per ounce), sugar is a food preservative (acting in a manner similar to salt) and is a feedstock for a vast number of chemical processes. 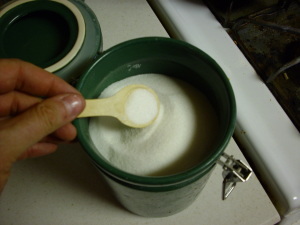 Sugar cane was a major source of sugar molasses used in the production of industrial ethanol. Sugar can be economically produced either from sugar beets or from sugar cane. Sugar cane is the more productive crop and supplied most of the sugar used during the Pacific War. Sugar cane is a very tall perennial grass that thrives only in tropical to subtropical climates where there is intense sunlight and ample moisture. A C4 crop (a technical term describing its photosynthetic chemistry), sugar cane is very efficient at turning sunlight, moisture, and carbon dioxide from the atmosphere into sugar. It is propagated from cuttings, and a field is usually allowed to produce for three successive harvests before the field is plowed down and replanted with fresh cuttings. Fertilizer needs are relatively small. Time between harvests varies from 9 months in Louisiana to 20 months in Hawaii. The United States suffered a serious shortage of sugar when war broke out. Although there was significant production in Hawaii, Louisiana, Florida and the Caribbean, most of the sugar consumed in America (about 100 lbs [45 kg] per person per year in peacetime) came from Guam and the Philippines, and this production was lost to the Allies with the Japanese conquest of these areas. The shortage was exacerbated by panic purchasing of sugar after war broke out and before rationing could be put into effect. In May 1942, ration books were distributed to persons who swore that they had no more than six pounds of sugar at home. An alternative sweetener is honey, a mixture of simple sugars that keeps well. However, beekeeping is not suitable for industrialization, and honey cost 6 cents a pound in 1939 compared with about 4 cents per pound for sugar. The Japanese were fond of sweets and consumed an average of 140 calories of sugar per day, 6.5% of their calorie intake. This corresponds to about 28 lbs or 13 kg per person per year. Japan obtained most of its sugar from Formosa, long a Japanese colony, and smaller amounts from the mandated islands, from Okinawa, and from sugar beet production in Hokkaido. When imports from Formosa were cut off late in the war, the Japanese Army seized most of the potato crop as a source of fermentable carbohydrates, offering the fiber residue from fermentation to civilians as food.